The Road to BIO is a 12-day, coast-to-coast road trip planned for June 2017. Starting in Boston, we’ll be making our way to BIO International in San Diego, mirroring the journey to launching a drug and emphasizing the key component of speed-to-market. We’ve strategized the optimal route, invested in one of the world’s fastest vehicles, and assembled our best crew to support the effort. But as much as we’ve planned for the trip, the number of factors that can impact our journey make it impossible to anticipate the exact results it will yield. So, we need your help! We’re taking guesses at the final stats of the trip, and giving away an iPad Pro to the individual who comes the closest. Come see us at BIO booth #1019 to see how we fared in our journey! the Road to BIO Challenge is now closed. the winner will be announced after the BIO International Convention and in the Q3 2017 issue of Pharma's Almanac. Abzena is a life science company that offers complementary services and technologies for selection, development and manufacture of biopharmaceuticals. Alcami offers individualized development and manufacturing services that can be integrated for a less fragmented and faster pathway for products. Avara is a state-of-the-art CDMO founded by a team of industry veterans who, through personal experience, understand both sides of the contract manufacturing market. Bio-Rad has partnered with Drug Discovery, Development, and Manufacturing researchers for over 60 years, delivering innovative solutions that support scientists with customizable workflows. BioVectra is a CDMO serving pharmaceutical and biotech companies with full-service cGMP outsourcing solutions for intermediates and APIs. For over 30 years, CRB has specialized in delivering high-quality bioprocess facilities that are safe, reliable, and sustainable. Emory University is known for its demanding academics, outstanding undergraduate experience, highly ranked professional schools and state-of-the-art research facilities. Envigo provides essential products and research services for pharmaceutical and biotech organizations to meet their development milestones efficiently and cost effectively with fit for purpose programs of work and robust data. G-CON designs, produces and installs prefabricated, autonomous cleanroom PODs in numerous dimensions and for a variety of purposes. Icagen is an integrated drug discovery partner, offering clients specialized technologies and scientific expertise to solve myriad challenges. M+W Group is a global high-tech engineering and construction company offering a full range of services from concept and design to turnkey solutions. Unither is a leading manufacturer of single unit-dose pharmaceuticals using sterile blow-fill-seal (BFS), and Unistick® liquid stick-packs. UPM Pharmaceuticals is a Bristol, Tennessee based, independent drug development and contract manufacturer serving the pharmaceutical and biotechnology industries. The winner of the Road to BIO Challenge will be determined by the closest guess to Miles Covered, without going over. If there are multiple winning guesses within the Miles Covered category, the individual with the closest guess to the following category—Hours of Driving, then Gas Stations Visited, and so on—without going over will be named the winner. In the case of a tie, the tied participants will be contacted and asked one additional question regarding total miles covered. There is no purchase necessary to participate in the Road to BIO Challenge, nor does purchase increase the chances of winning. To enter, play the Road to BIO Challenge online at www.roadtobio.com, or mail a postcard with your name, address, phone number, and email address (optional) to That’s Nice LLC 89 Fifth Avenue, Fifth Floor, New York, NY 10003. The Road to BIO Challenge opens on May 15, 2017 and ends on June 19, 2017. All online entries must be received by 11:59pm EDT on June 19, 2017. Mail-in entries must be postmarked by June 19, 2017. Only one entry is allowed per email address or mailing address. 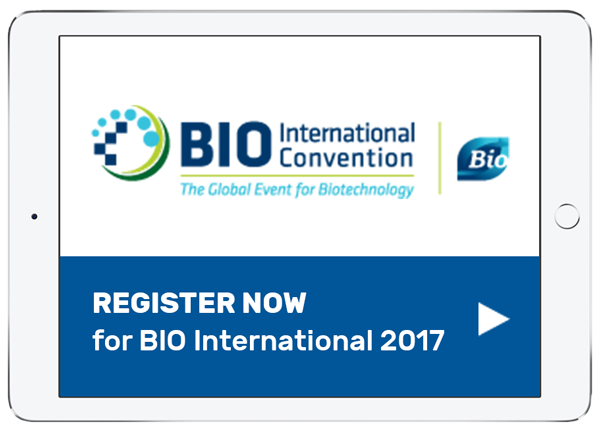 The winner of the Road to BIO Challenge will receive a 12.9-inch, 128GB iPad Pro Wi-Fi, valued at $899 USD. The prize will be shipped to the winner’s country of residence. The winner will be announced after BIO International and in the Q3 2017 issue of Pharma’s Almanac. The Road to BIO Challenge is sponsored by That’s Nice LLC. Employees of That’s Nice LLC and its subsidiaries are not eligible to win. The Road to BIO Challenge is not sponsored, endorsed, administered by, or associated with Apple Inc. or its subsidiaries or affiliates.